The answer is, none of the above, although it is worth noting the first plat of Sandwich was recorded by a man with the last name of Beveridge. Still, residents pushed to have the railroad stop in Newark Station, originally, the railroad only had a flag stop there. But it was not until "Long John" Wentworth went to Congress that Sandwich became Sandwich, and hit its stride. Wentworth used his influence to get the trains to stop in town, and also gave Sandwich its name - after his home town of Sandwich, New Hampshire. Spread mayonnaise on each bun. Sprinkle pepper on top of mayonnaise. Add cheese, ham and onions. Place remaining onion bun on top. Serve with chips. Enjoy! Great story and a good looking sandwich. Interesting story.. sandwich looks very tasty!!!! A classic sandwich & an all time favorite... And I love the use of onion buns! There's a Sandwich, IL? How appropriate that you live there! :D Thanks for sharing the wonderful story! mmmmm great classic. great new twist. That was interesting. I get asked it a lot about Soddy Daisy too! Such a classic! Looks delicious! That looks good! I love red onions! Nice post again Christine I knew straight away I've seen you blog before your delicious meatballs which I have in my to make list.Anyway I'm loving this I just really like history and food and appreciate the research that went into this post and a nice sandwich to boot thank you. Hi Mac, thank you so much! Hi Chris Gourmet Fashion, I love it when y'all visit. Love you all. So simple; so delicious-sounding! The pepper sprinkled over the mayo sounds great to me. I'll have to try this just like you describe it. Great story, too! Ham always works for me!!! Such an interesting post. I surely enjoyed it. There is nothing like a good sandwich either and I love ham and cheese. Those meatballs look wonderful, too. Now, you have made me hungry! Have a wonderful holiday weekend and thanks for coming by. Very interesting history! I love trivial facts so thanks. 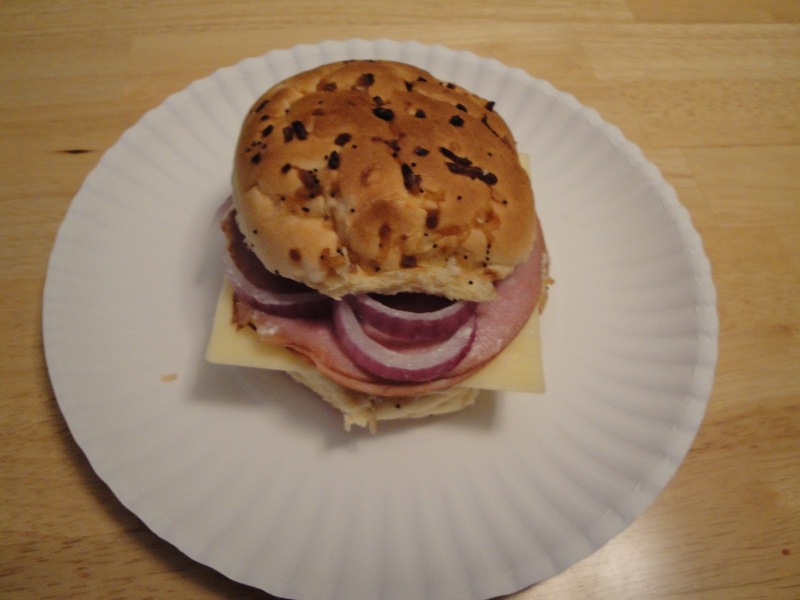 Sandwhich looks very yummy, love ham and cheese. I love ham sandwiches! I use honey mustard on mine. Nice blog!